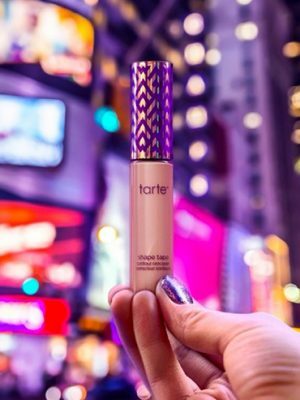 The internet is not happy with Tarte Cosmetics‘ latest launch—and for good reason. On January 12, Tarte confirmed the hunch, showing a new foundation range in 14 shades. That’s when the excitement turned to rage. Swatches of the shades show an almost laughable lack of diversity: most of the foundations are tailored to lighter complexions, including porcelain, fair beige and light sand shades—many of which seem indiscernible from each other—and a grand total of only three, janky AF darker shades. In a post-Fenty world, it’s utterly inexcusable for a huge beauty brand to release a product to their consumers that demonstrates such a blatant lack of inclusivity. And the Twitter community was quick to call them out. Before this blunder, Tarte was a well-loved brand for many reasons, including their cruely-free ethos and vegan-friendly formulas that also happened to be high performing. As for us, we’ll be taking our hard-earned beauty bucks where WOC are represented and celebrated.